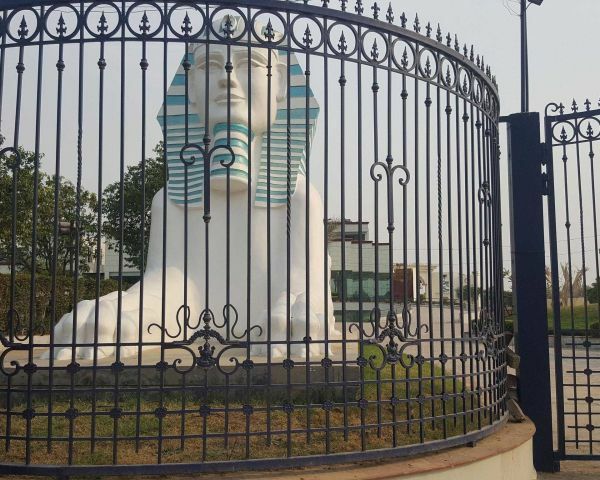 The property is designed on the theme of egyptian architecture. 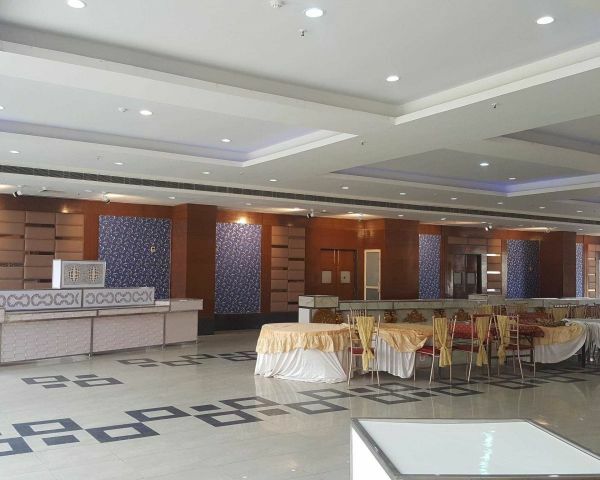 The property has being running successfully as hotel, resorts, and restaurants, catering services, party lawns and conference and banquet hall. The firm has acquired 14035.77 sq. Meters plot at n.H.-10, distt. West, delhi. The land acquired is free hold property and necessary approvals have been received. 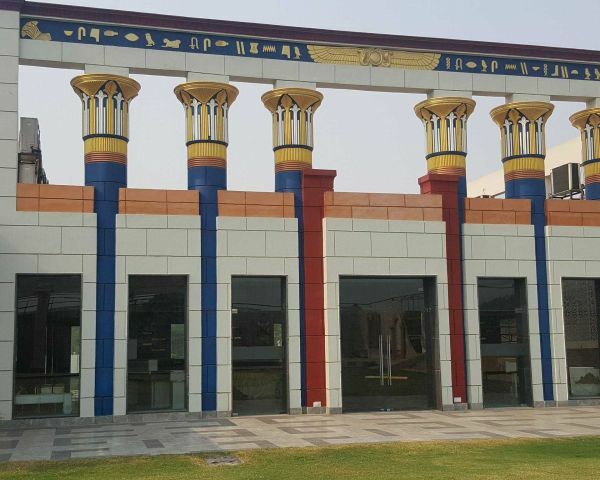 The firm has developed hotel, resort, restaurant, health spa / gym, party lawns, conference and banquet hall on a piece of land measuring 14050 sq. Mtrs. (Appx.) which is situated on a national highway no. -10, west district, new delhi-110041 linked delhi to fazilka via rohtak/ hisar in haryana. Built- Up area of the building. Total cover area (Built up area) of the building is more than 70, 000 (Thousand) sq. Ft. At this moments but permissible area is about more than 3.50 lacs sq. Feet. It means we could construct about more than 700 more rooms along with other required areas. The property has north facing with 325 feet front & back lane. (Plot size is appx. 100 meter x 150 meter). 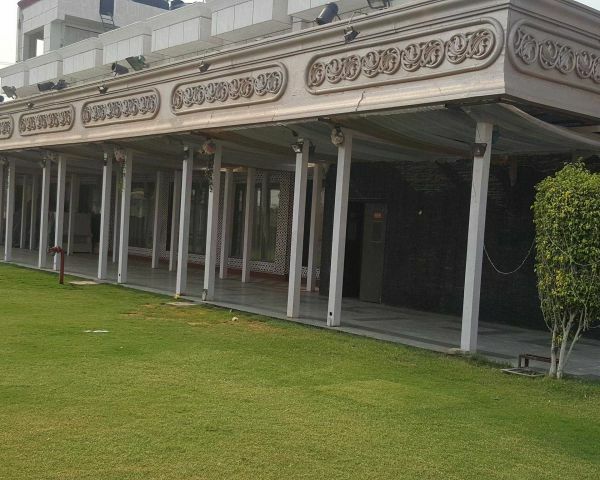 This property is up to the standards of four-Star deluxe hotel set up in delhi. 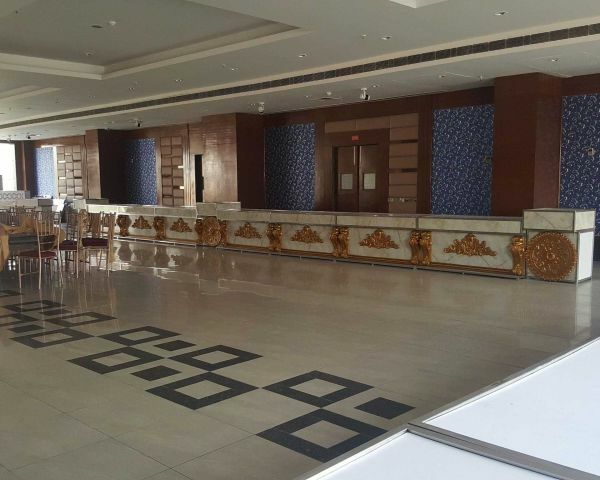 The hotel has excellent location as it is located on prestigious highways of delhi. It is very nearer to posh colonies of north & west delhi like paschim vihar, punjabi bagh, pittam pura, rajouri garden. The delhi s only sez (Special economic zone) is also coming in the vicinity of this area. This property is on the national highway # 10 at delhi-110041. I) just opposite to our site a historical place azad hind gram is developed & managed by delhi tourism. There is mini haat, open theatre, handicraft shops and small lawn where functions is being held in present. Fairs are also arranged by the govt. From time to time. Ii) metro will be connected very shortly to this site (Under construction). Metro station for azad hind gram is also proposed near to our site. Iii) a huge sports complex which is in 116 acres of land is being developed by delhi govt. Just 1 km before our site on main road. Iv) a housing project of dda which is in 200 acres land is also under construction just adjoining our site & a huge warehousing scheme is coming in 100 acres of land just behind the site. V) 80 meter wide highway (Ring road of delhi- Uer-1) is proposed/ coming up just near this hotel. Vi) the property is just 2 km from bhadurgarh industrial area, which have india s most renowned huge industries situated in this area. A foot wear park (Industrial zone of footwear industry of india) is just few km away from this hotel. Vii) omax township is also few km from this area on the same highway. Viii) the huge terminal of oil giant s companies i.E. Indian oil, bpcl is in the vicinity of this site. Ix) a new interstate rail terminal, public transport interceptor (Rail metro-Buses-Feeder vehicles terminal) is also proposed by the indian government just 2 km away from this hotel. X) the stretch/road (Nh-10) from peeragarhi to tikri border is notified under transit oriented development which provides more f.A.R. (High rise buildings) and other facility for this metro corridor. Brokerage : 1% of sale value.